Could this persuade Liverpool to let Coutinho go? Liverpool could reportedly be more open to selling Philippe Coutinho to Barcelona as they hold an interest in signing Gerard Deulofeu in a possible swap deal. Reds boss Jurgen Klopp is said to be keen on Deulofeu as he seeks to add some quality to his attack after a difficult start to the season, according to Don Balon. The Spanish forward has some experience of playing in the Premier League, having notably had two spells with Liverpool’s Merseyside rivals Everton. However, despite once being considered as one of the most exciting prospects coming out of Barca’s famed La Masia youth academy, he has failed to live up to his potential so far. Deulofeu showed glimpses of his ability in an Everton shirt, but generally struggled in England before returning to the Nou Camp in a surprise move this summer. 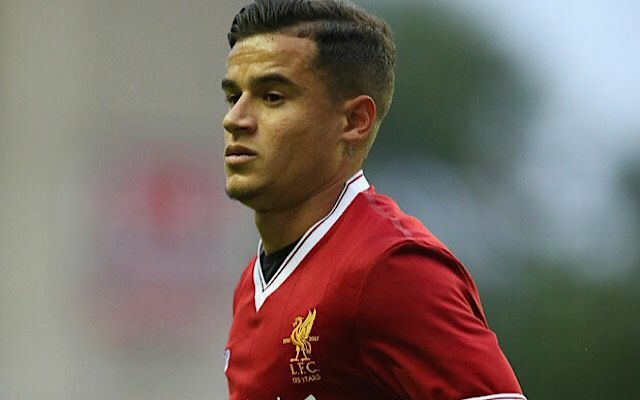 Not currently a regular for Ernesto Valverde’s side, Don Balon claim he could be let go by the Catalan giants if it helps them finally land Coutinho from Liverpool. As BBC Sport confirmed over the summer, the Reds rejected three bids from Barcelona for Coutinho, with Klopp doing well to fight off interest in the Brazilian playmaker. Still, the Daily Mail recently reported that the La Liga club would come back in for Coutinho this January, and the Deulofeu factor now seems to make it more likely. Liverpool fans may be concerned, however, that they’d hardly be replacing like for like by bringing in a former Everton flop for one of the best attacking midfield players in the world.